Like his brother, Pepper, Sawyer is a well-adjusted and handsome guy. 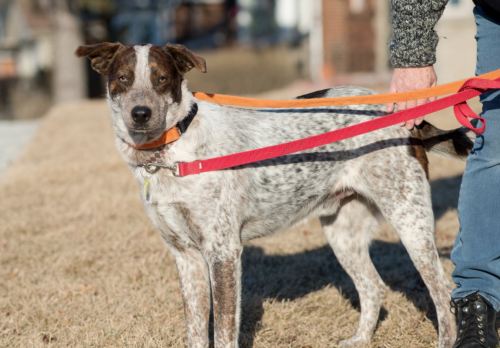 He is young, so he definitely needs some work on his basic commands and with walking on a leash. Sawyer gets excited when walking on a leash and does tend to pull, he would benefit from a J-Walk/Easy-Walk harness. 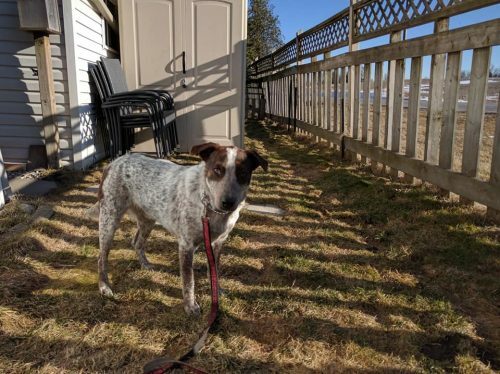 He is very affectionate and would be happy cuddling for a lot of the day, but is also active and would love to spend an hour or two at a dog park! Sawyer is not the most fond of his crate, but Foster Mom is working on this and says he whines only just a little bit. 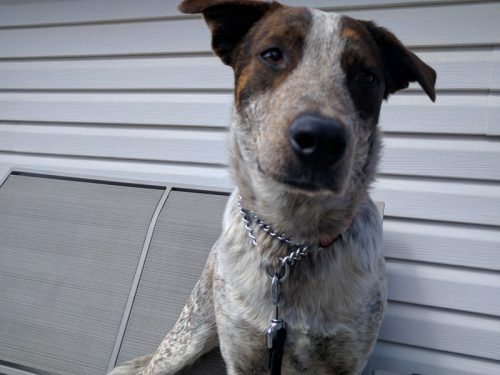 Sawyer would do great living with another dog of similar size or just a bit smaller/as rambunctious. Due to his size and energy, would not recommend for a home with young children. He is not cat-tested, but heeler instincts would be to chase. Ready for a green-eyed beauty to join your pack? Consider Sawyer along for the ride! Apply to adopt Sawyer today!